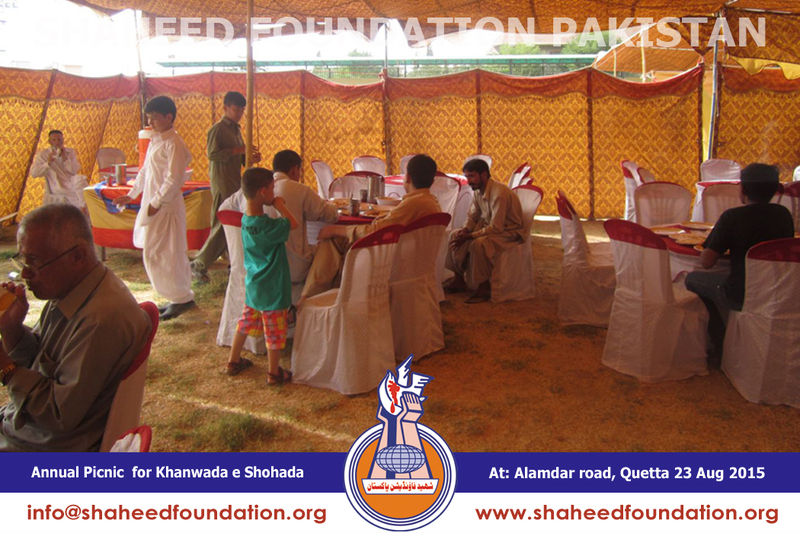 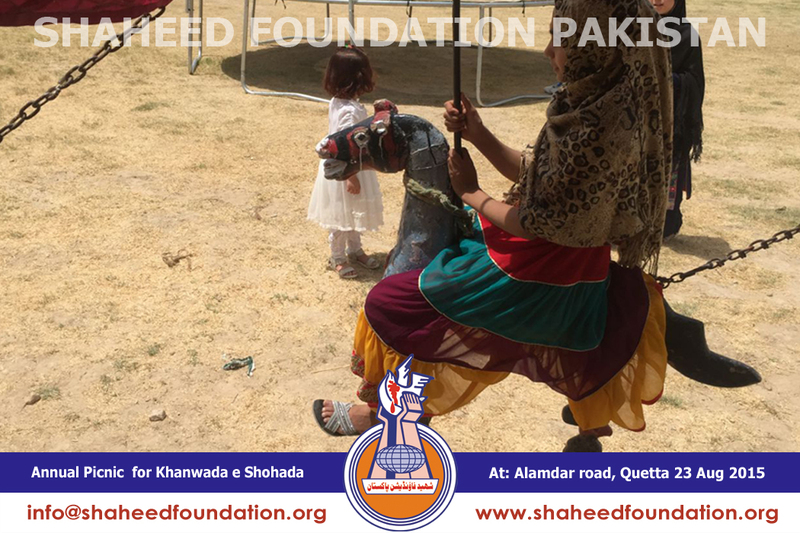 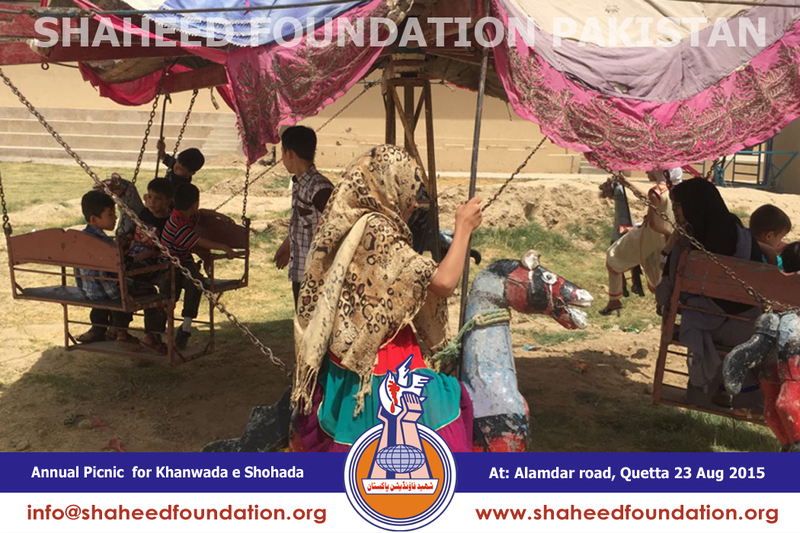 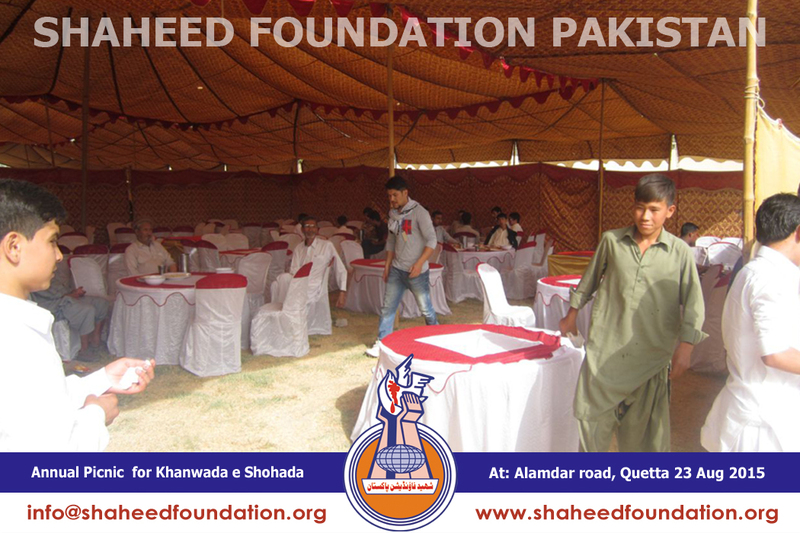 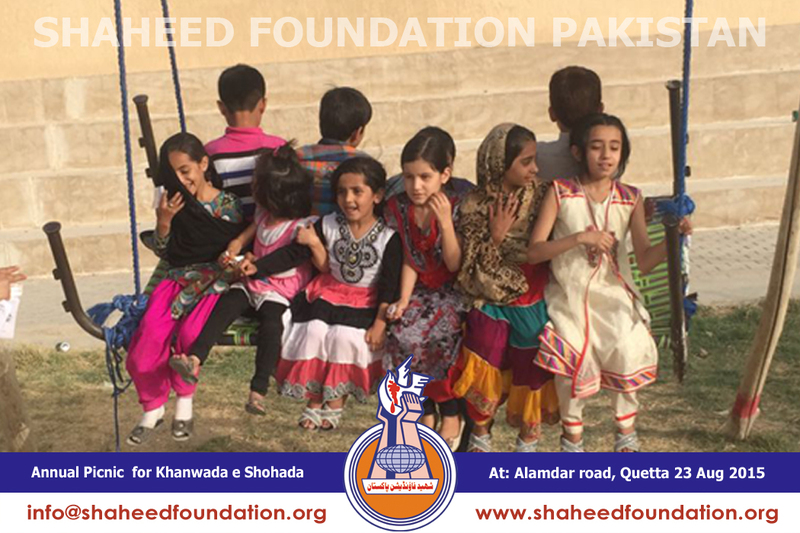 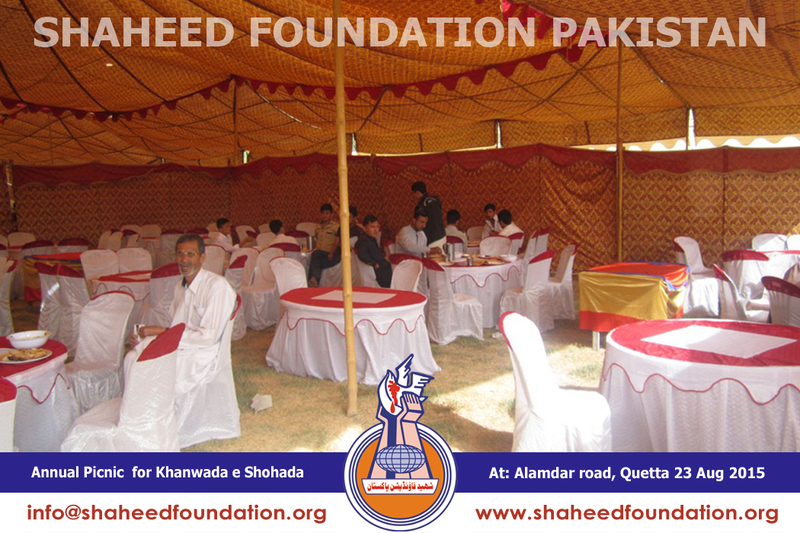 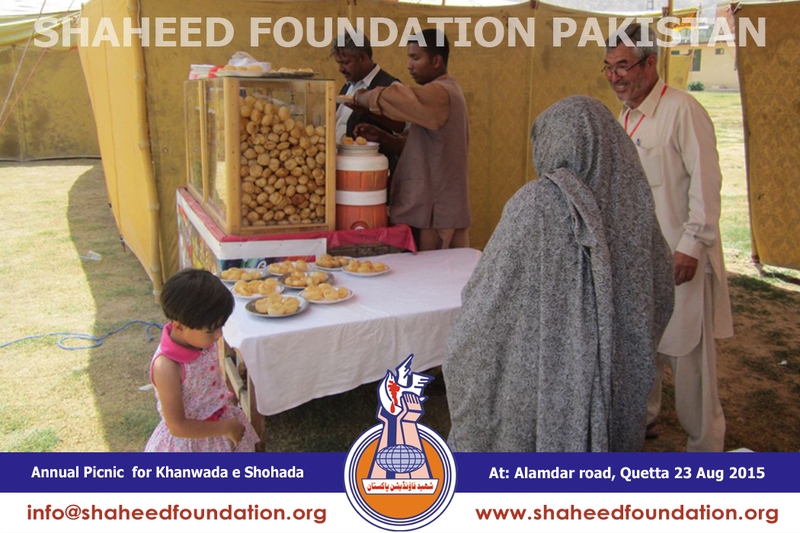 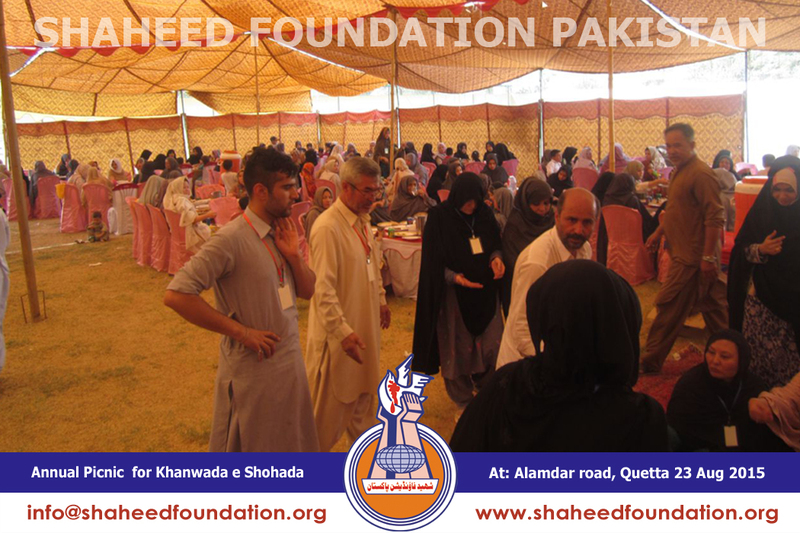 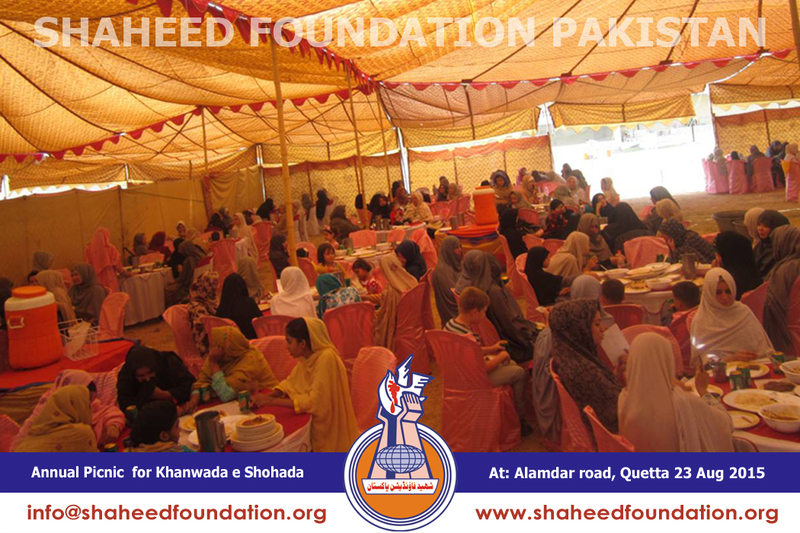 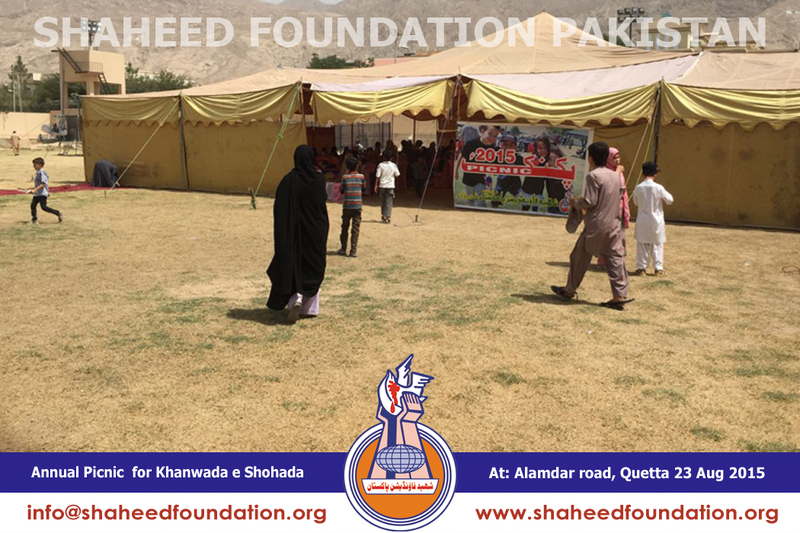 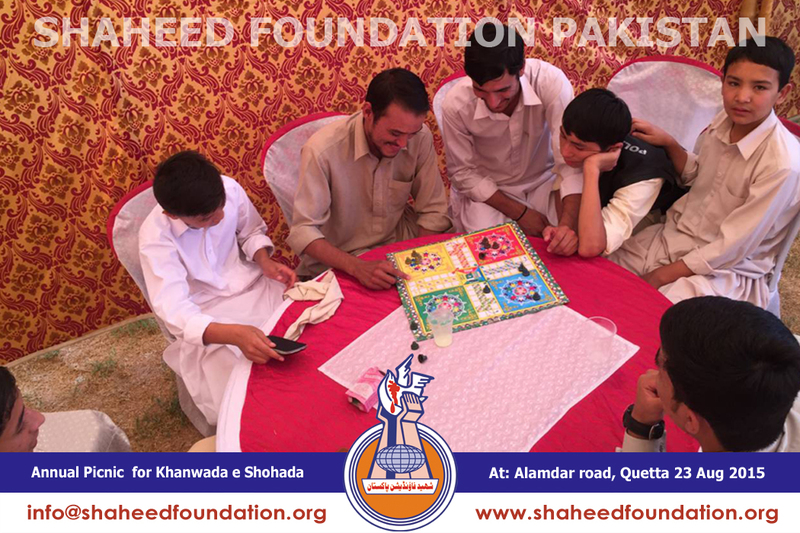 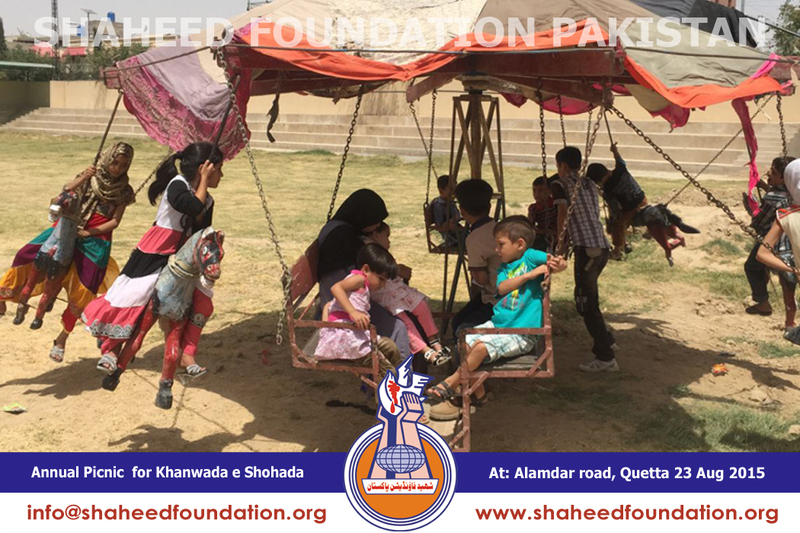 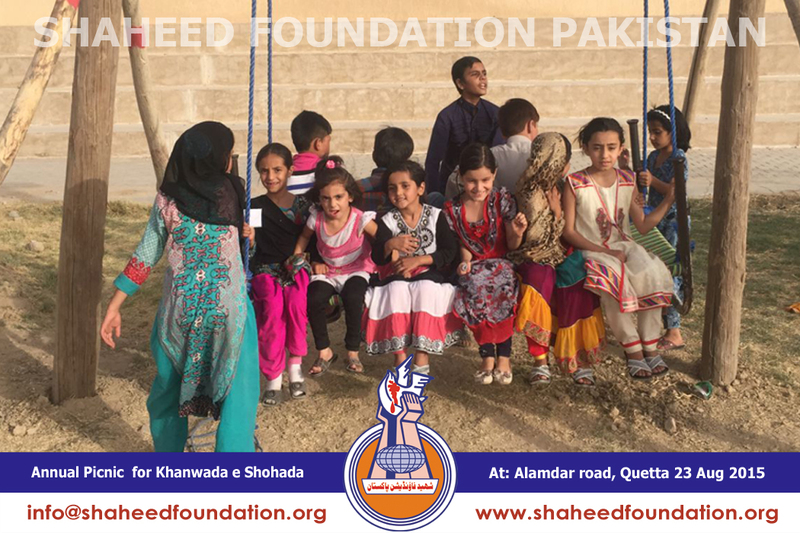 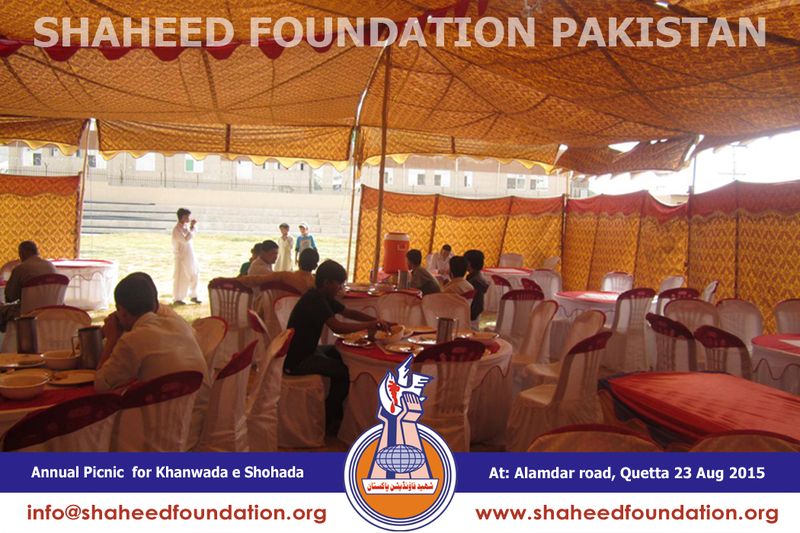 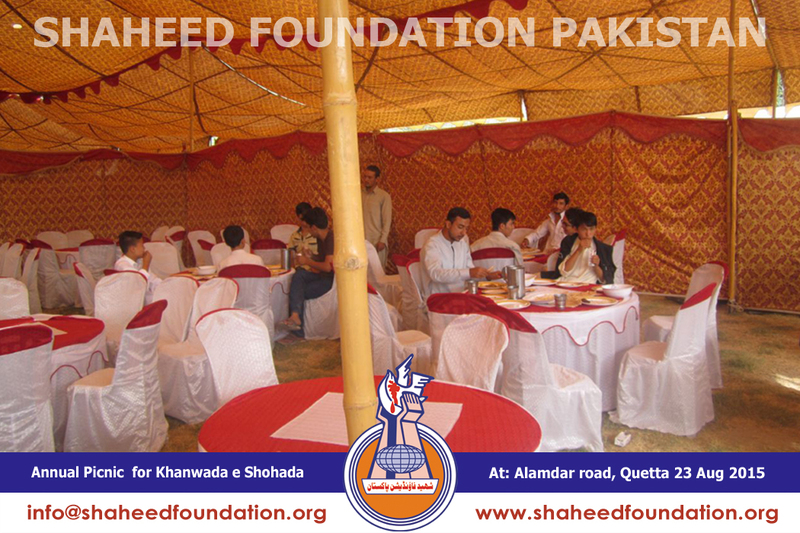 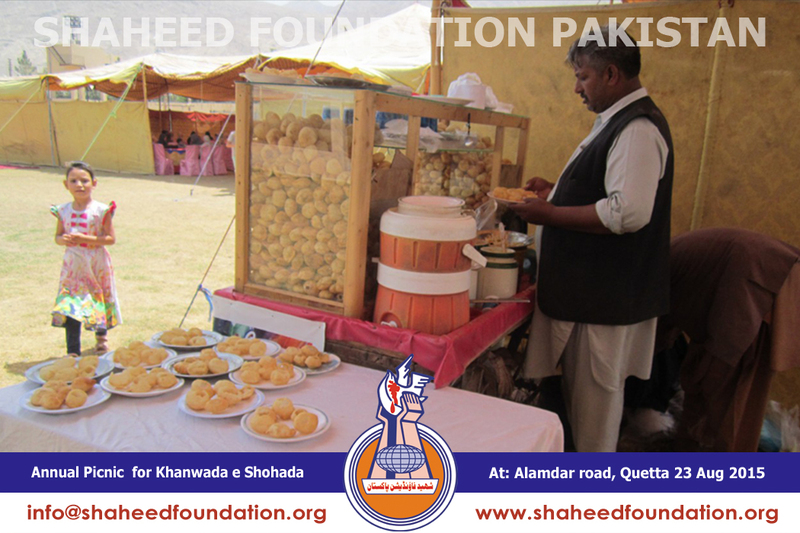 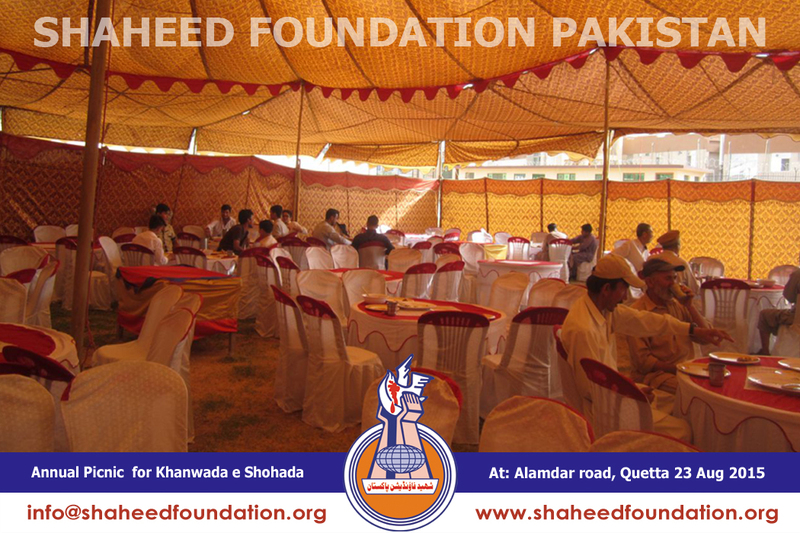 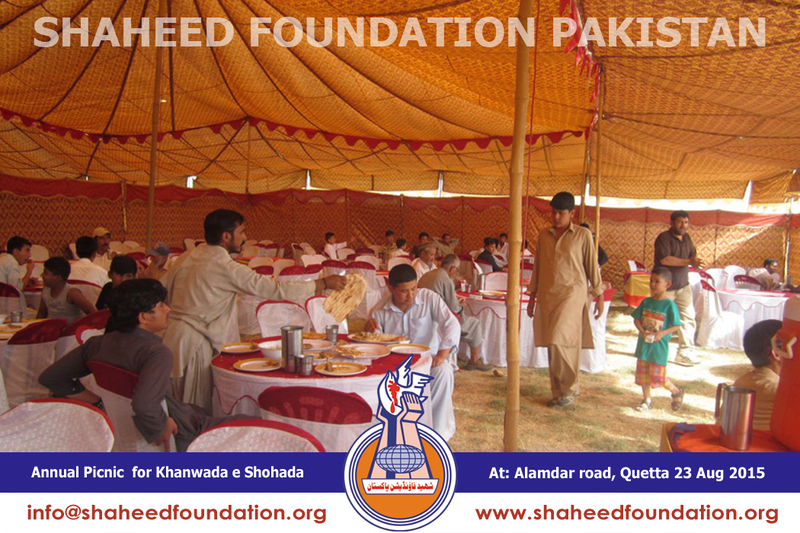 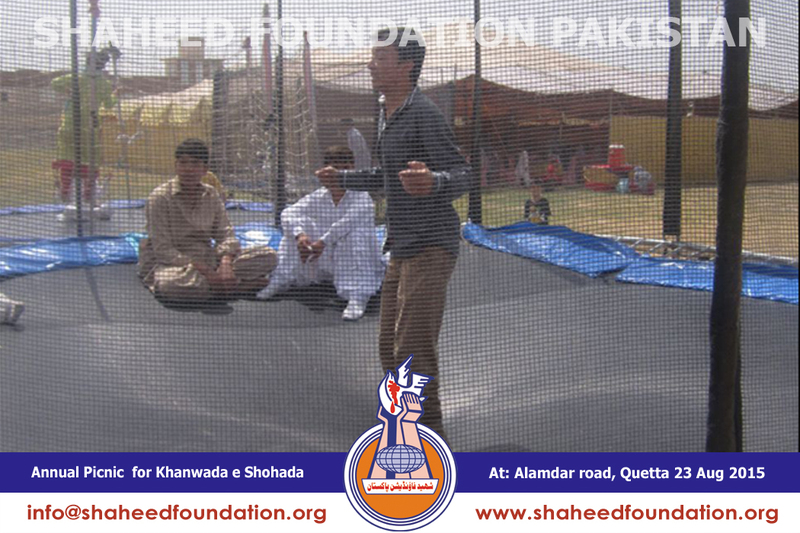 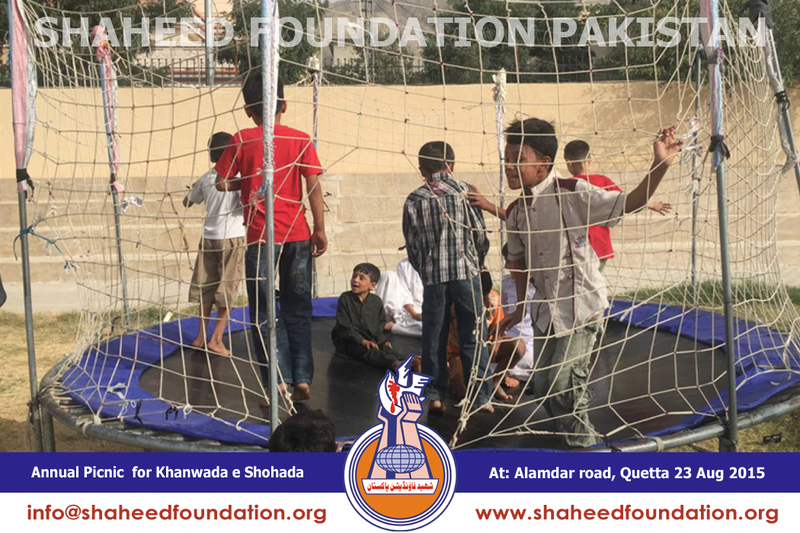 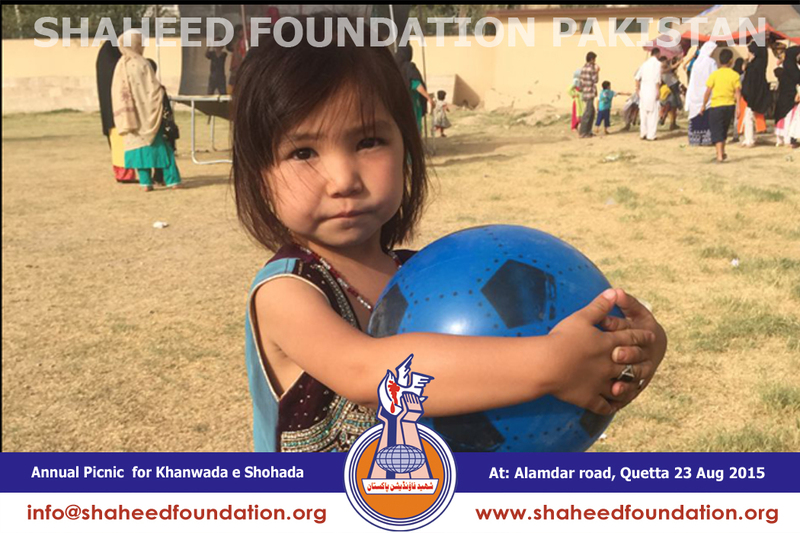 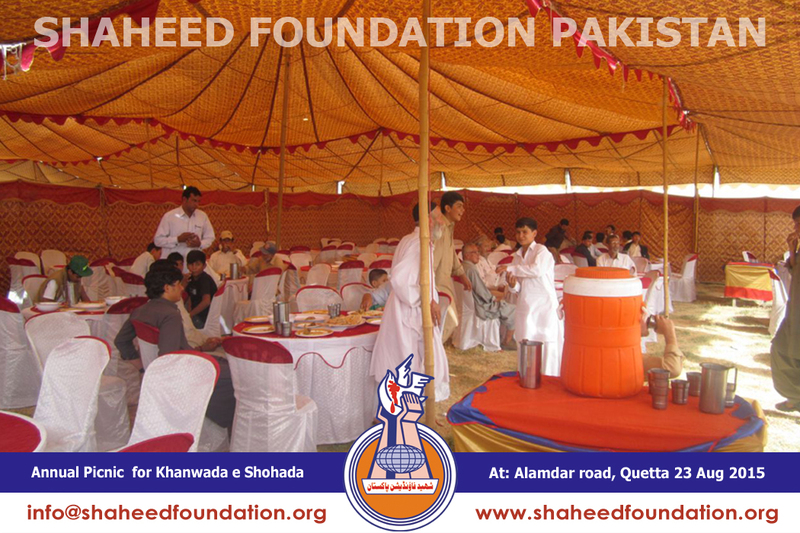 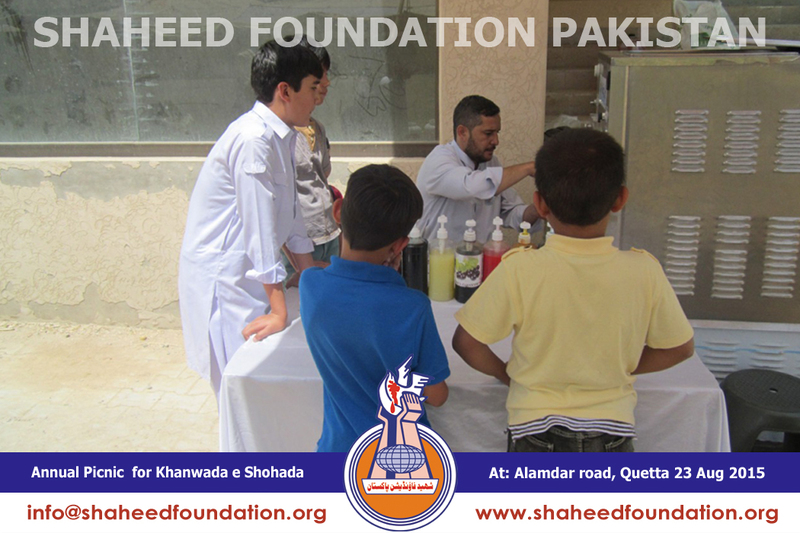 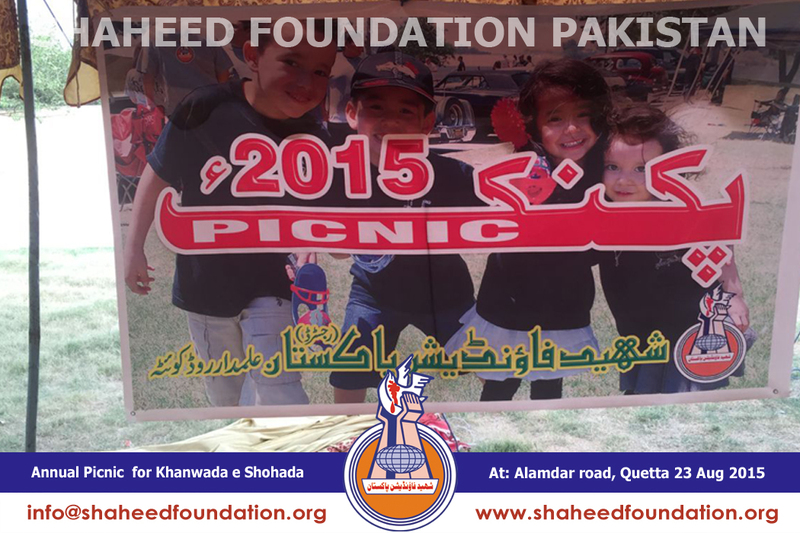 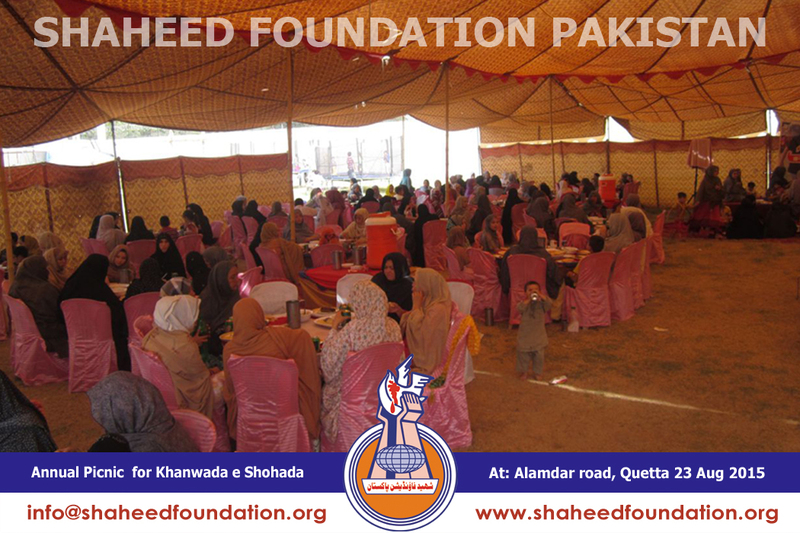 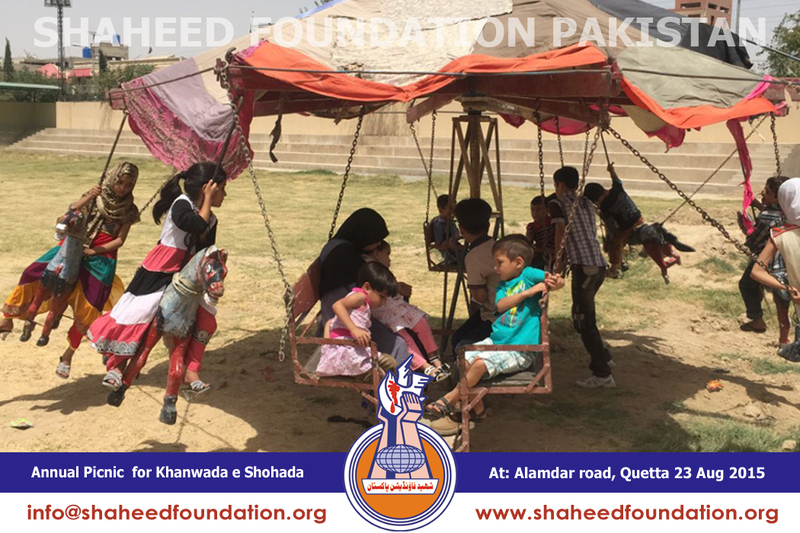 Shaheed Foundation Pakistan's Quetta working team managed a Picnic / Get together for the Noble Families of Martyrs of Alamdar Road Quetta on 23rd August 2015 at Stadium Ground Alamdar Road. 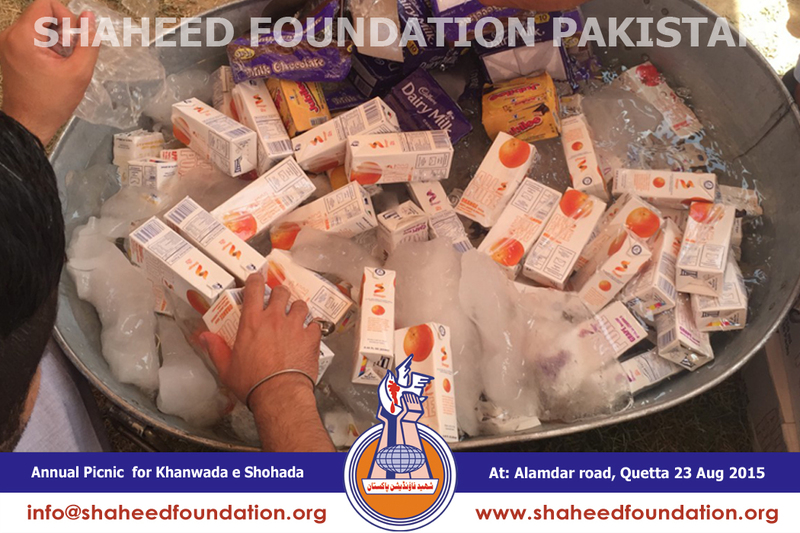 The program commenced with the arrival of families in the early morning and throughout the entire duration of the picnic a steady supply of eatables, confectioneries, light refreshments and drinks etc. 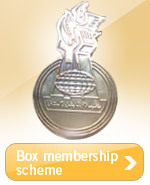 were available through a token based system. 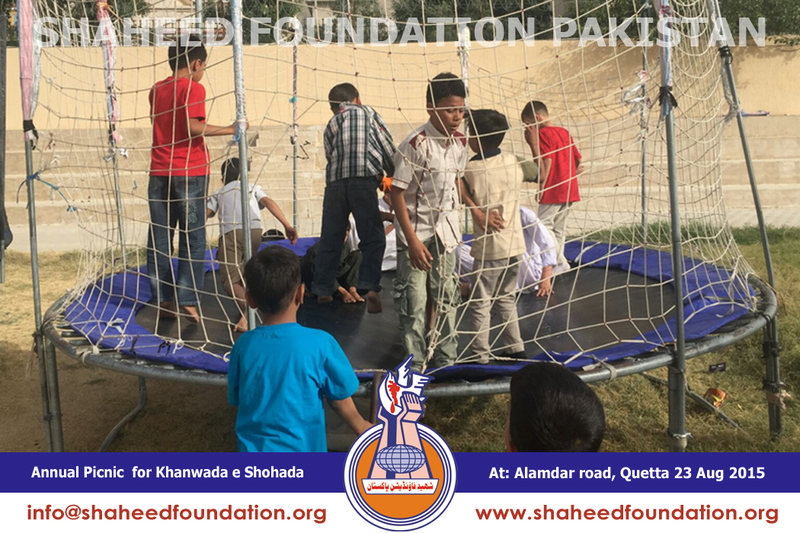 The program was carefully designed to engage different age group children and keeping in view the same aspect swings, jumping pads, competitions of different kinds were organized. 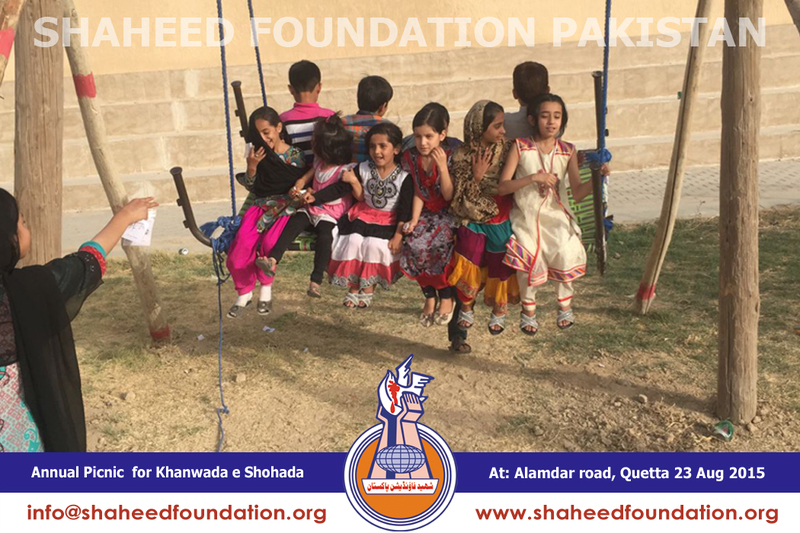 Children of martyrs enjoyed these very much. 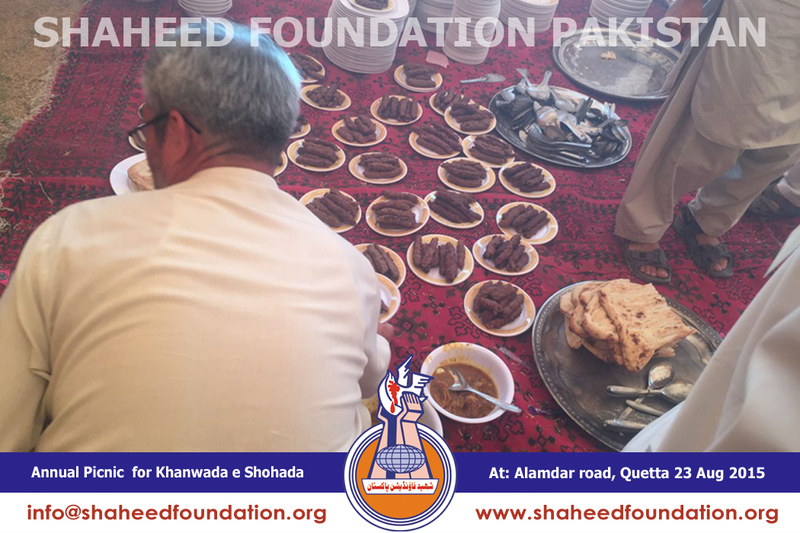 Following the Zohrain prayers a sumptuous lunch comprising of local cuisine like mutton qaurma and seekh kabab as well as chinese rice was served in the families of martyrs. 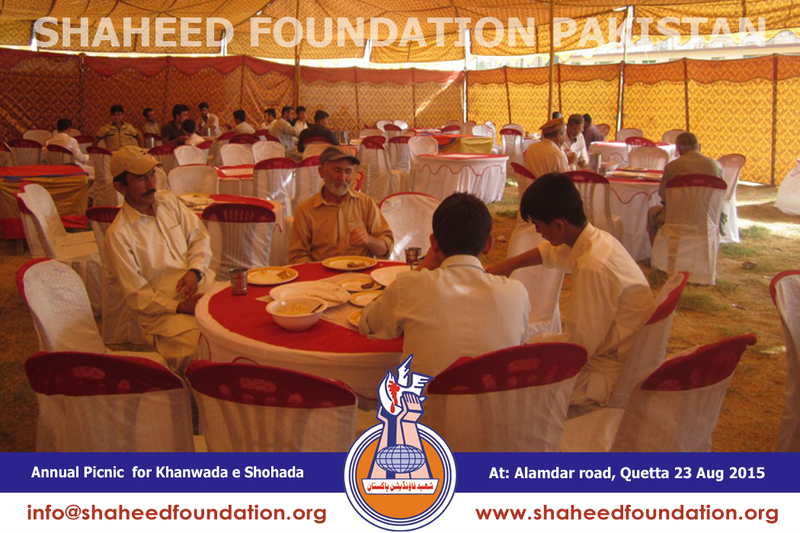 On this occassion winners of different competitions were awarded prizes. 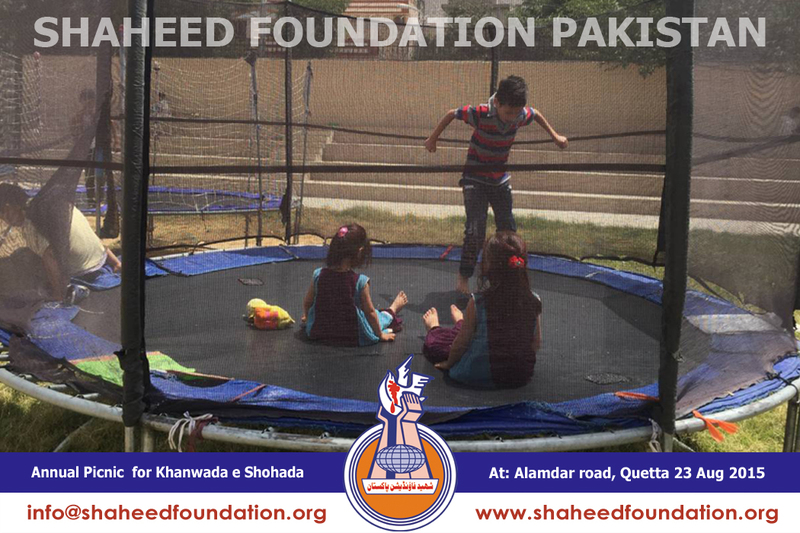 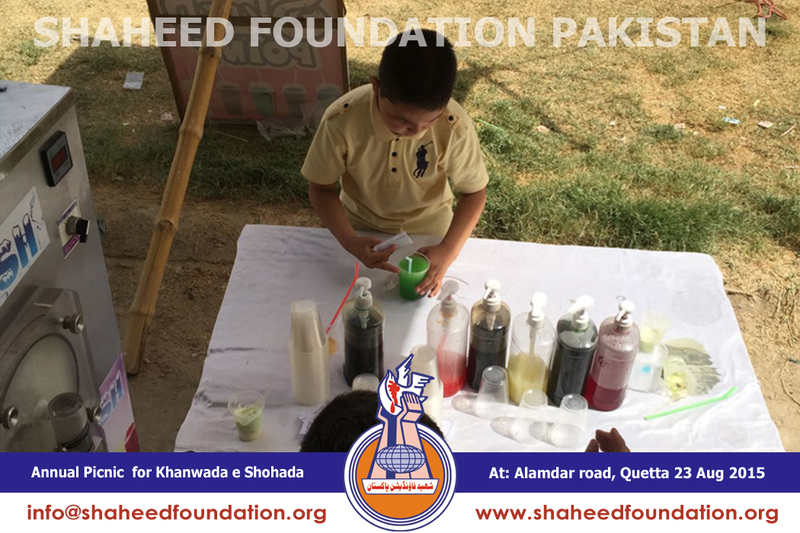 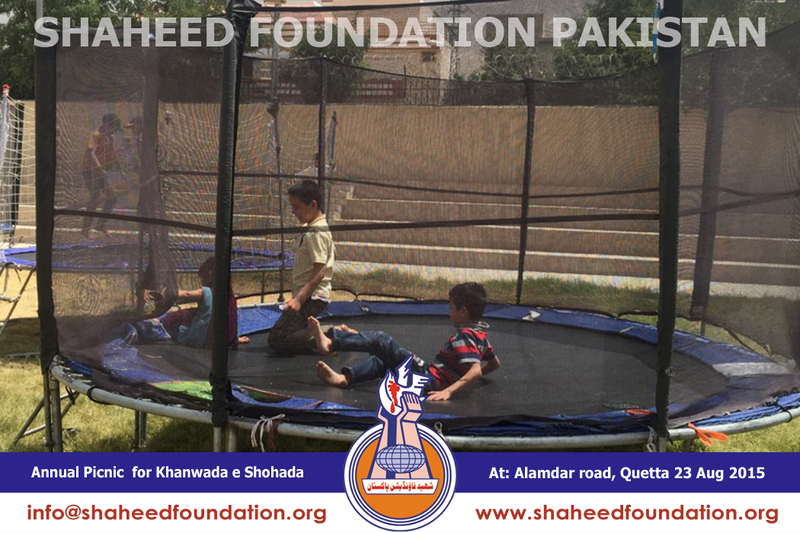 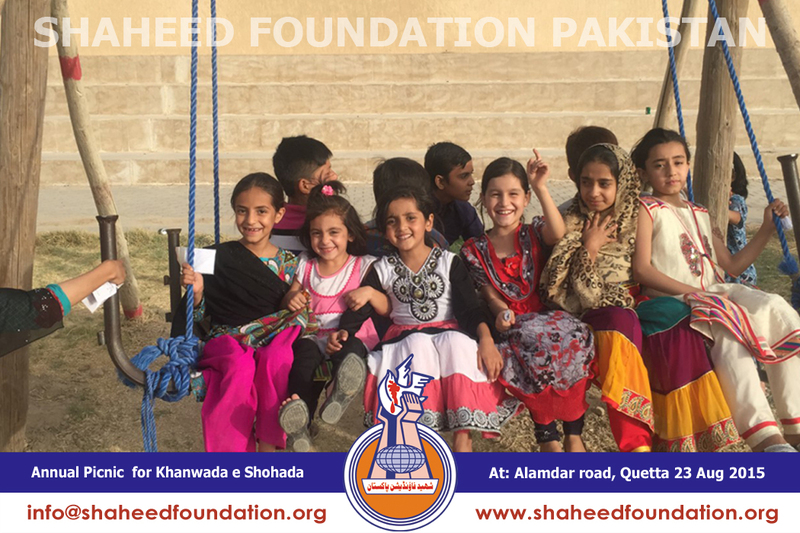 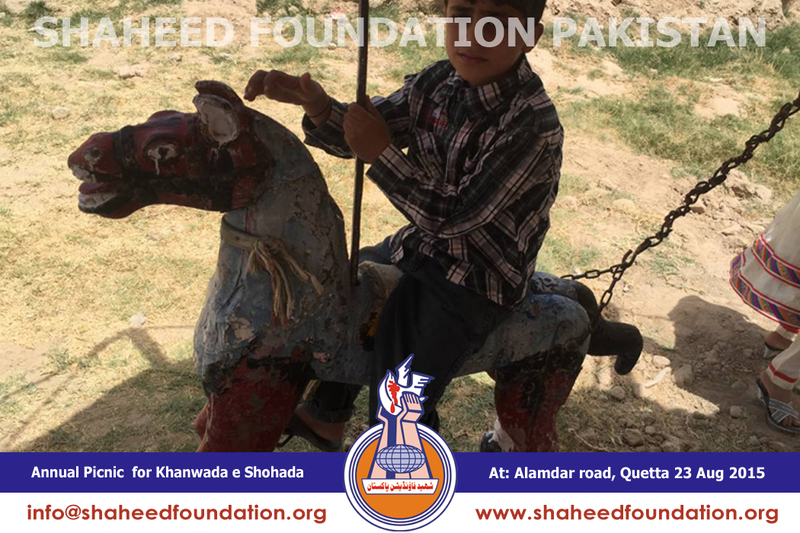 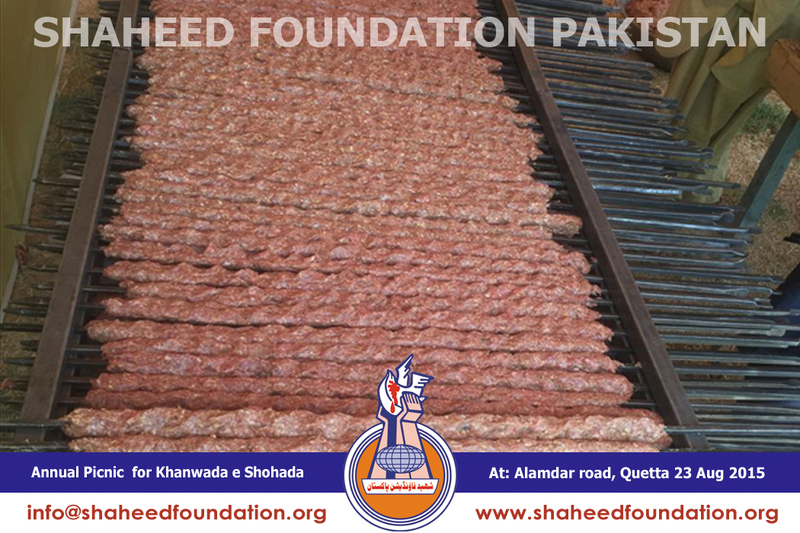 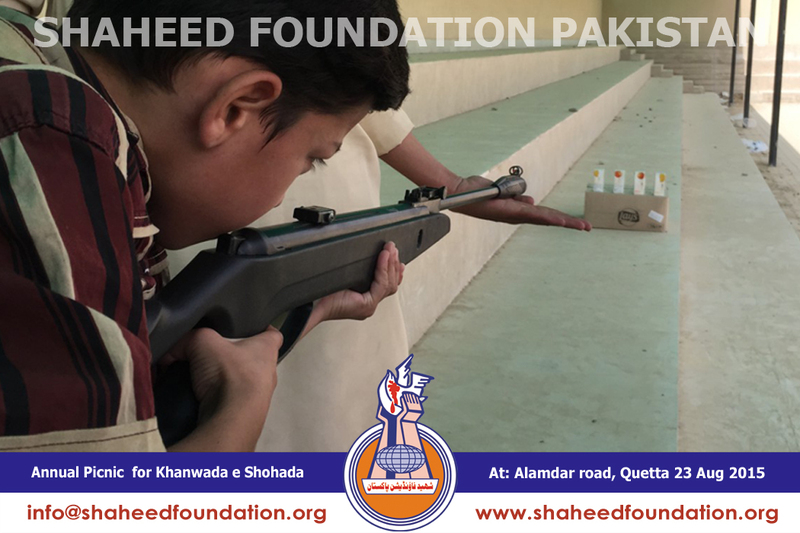 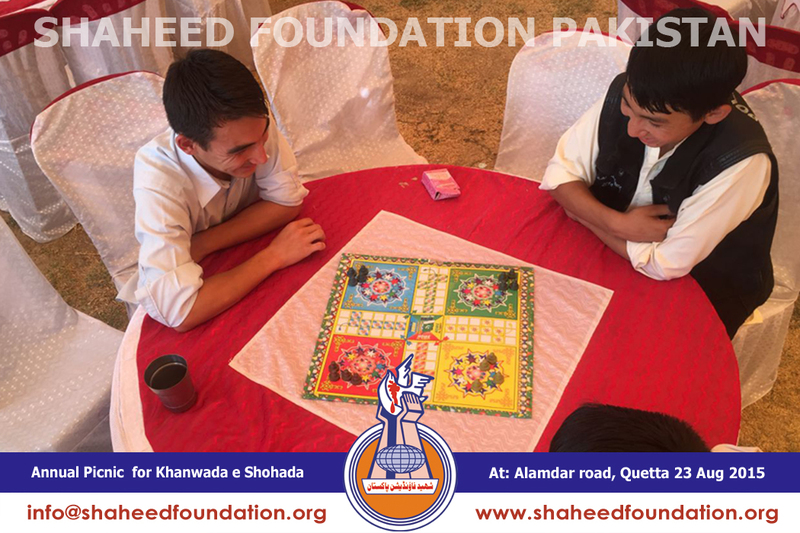 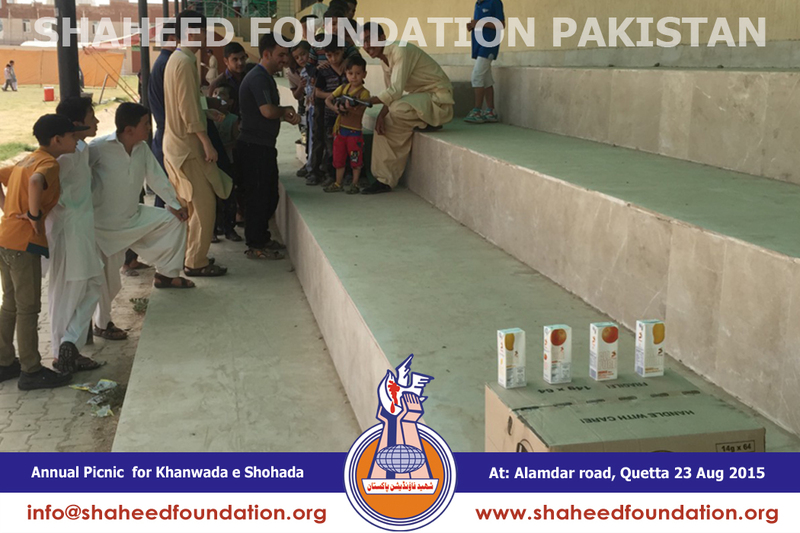 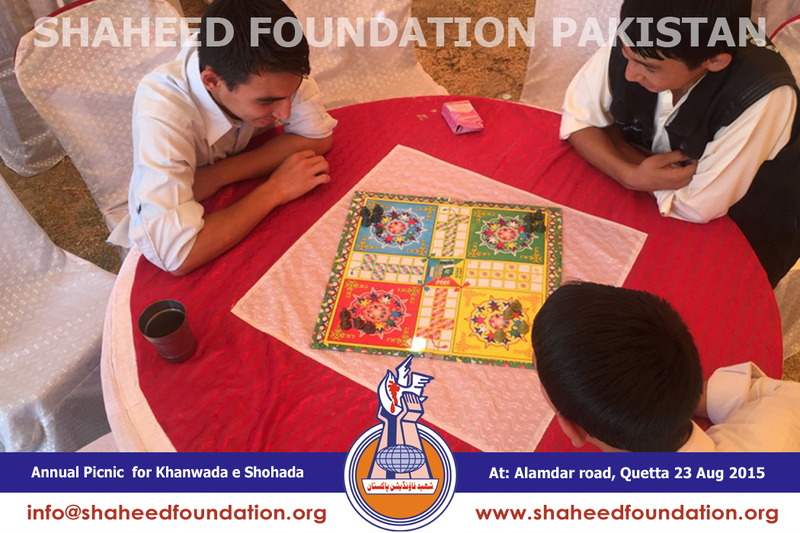 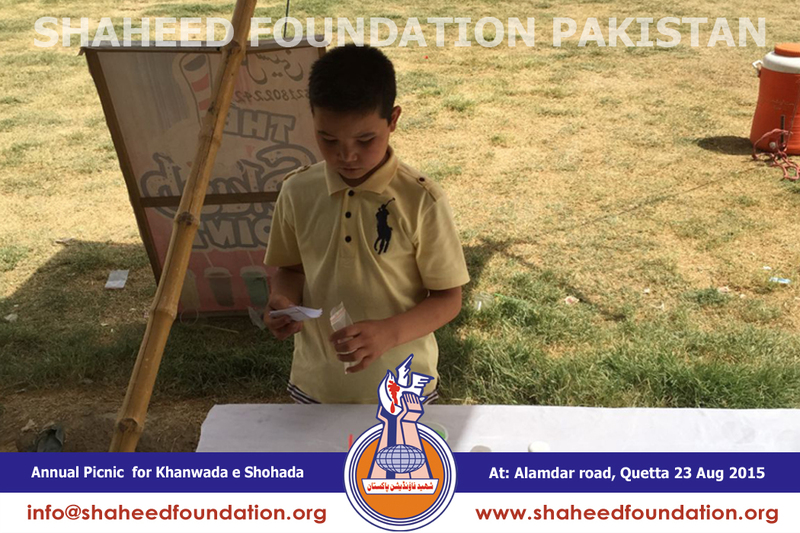 The dignified families of martyrs expressed immense pleasure and extended appreciation to Shaheed Foundation Pakistan for undertaking a noble activity that brought smiles to the faces of the children of our benefactors. 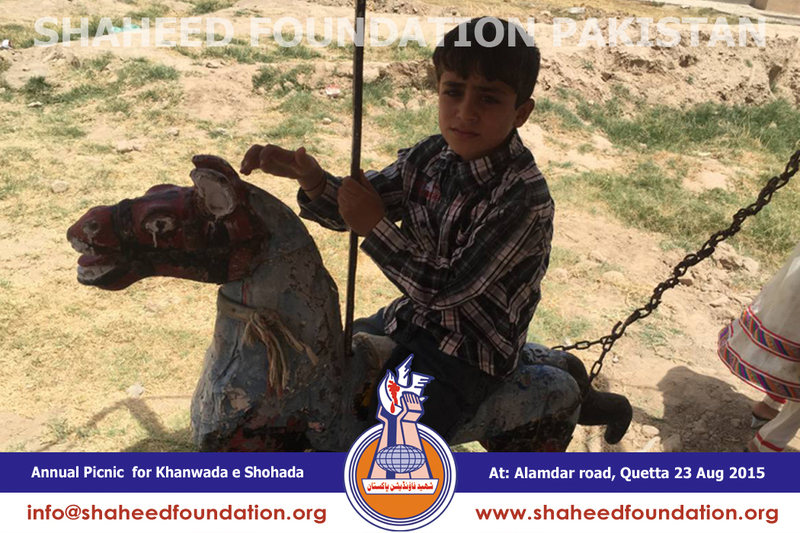 Quetta, a provincial capital of Balochistan houses in its heart, a strong concentration of shia population, who have been fighting for decades against an elimination and extinction policy of takfiri wahhabi terrorists and their patrons in global arrogance and local corridors of power. 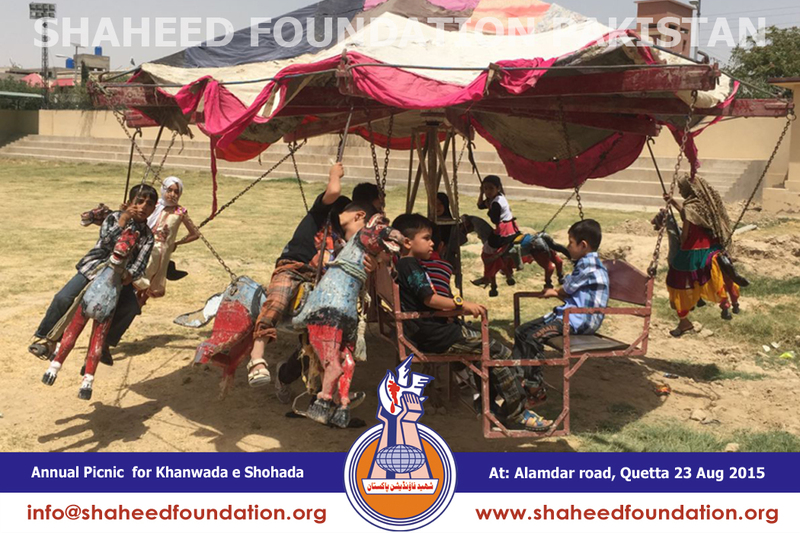 Alamdar Road faced a gory tragedy in January 2013 when twin blasts in quick succession resulted in multitudes of martyrdom and several injured. 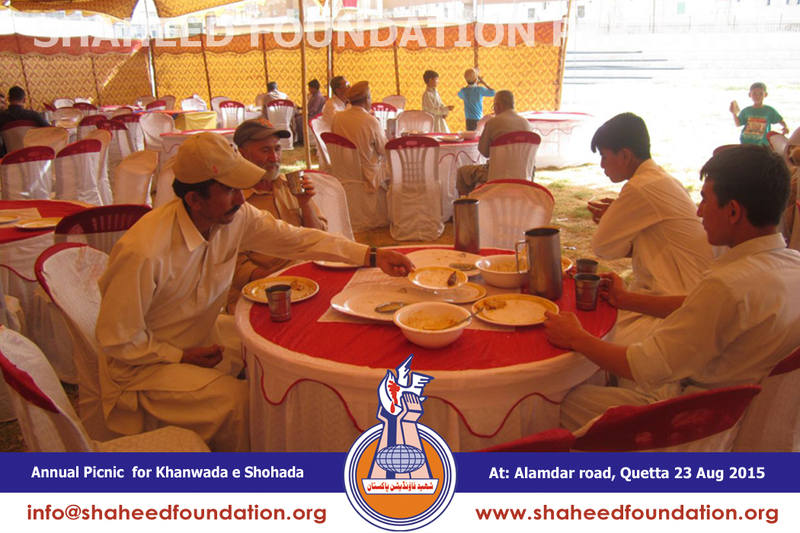 In Feb same year, on a day when the fortieth day commemorations were being held for Alamdar Road martyrs through out the world, a powerful bomb ripped through another shia neighbourhoods of Hazara town, the blast it was believed was caused by a tanker packed with nearly a thousand kilogram explosives materials, which offers perfect insight into the level of vigilance excercised by the law enforcers.